While RAM trucks are already loaded with premium materials and features, the ability to further personalize them to your needs is one of the things that keeps drivers coming back. RAM truck drivers who use their vehicles for work around Floresville may find that their seats are constantly getting dirty from the job site. A great way to customize your truck and keep it cleaner is with RAM 1500 seat covers. No matter which truck you choose, you can get custom fit seat covers, prefabricated seat covers, or seat armour. Drivers can also choose Weathertech seat protectors to receive heavy-duty protection from spills, dirt and mud, and other messes that could ruin your truck’s upholstery. These are great options if you have kids or pets, thanks to the tear-proof, waterproof material and finish. In addition to seat covers, hammocks, and protectors are also great options if you have one or more dogs. Why waste more time trying to clean muddy paw prints from your interior? Instead, you can opt for one of these accessories, so you and your four-legged friend can ride comfortably and go on adventures around San Antonio without worrying about ruining the inside of your truck. Ready to Update Your 2019 RAM 1500? The best part about RAM 1500 seat covers is that all you need to do is put them through the wash and your interior will seem like new again! 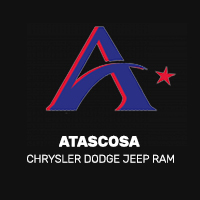 To order your seat covers, or learn more about customizing your pickup truck, contact our parts department or stop by our showroom in Pleasanton. You can also explore our inventory of new RAM 1500 trucks for sale before visiting us.